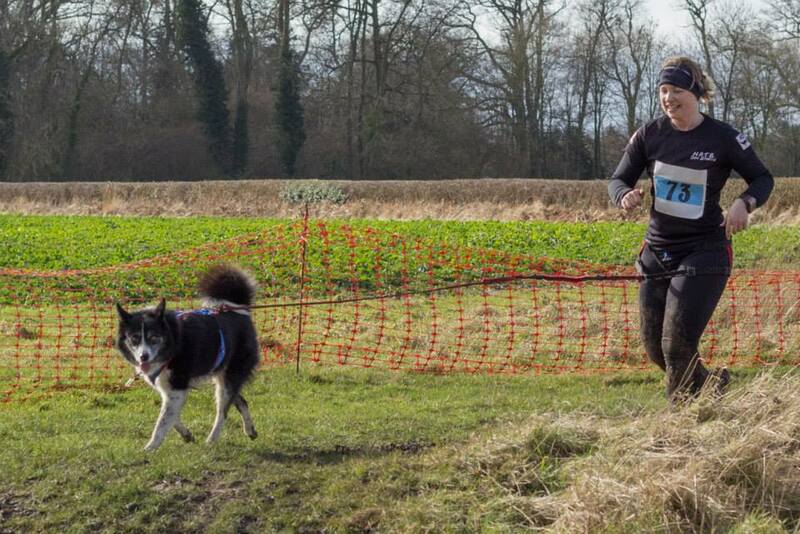 The British Sleddog Sports Federation (BSSF) National Championship event was held over the weekend of the 22nd & 23rd February in Kings Forest, Thetford, Norfolk, organised by the Wyedean Mushing crew. 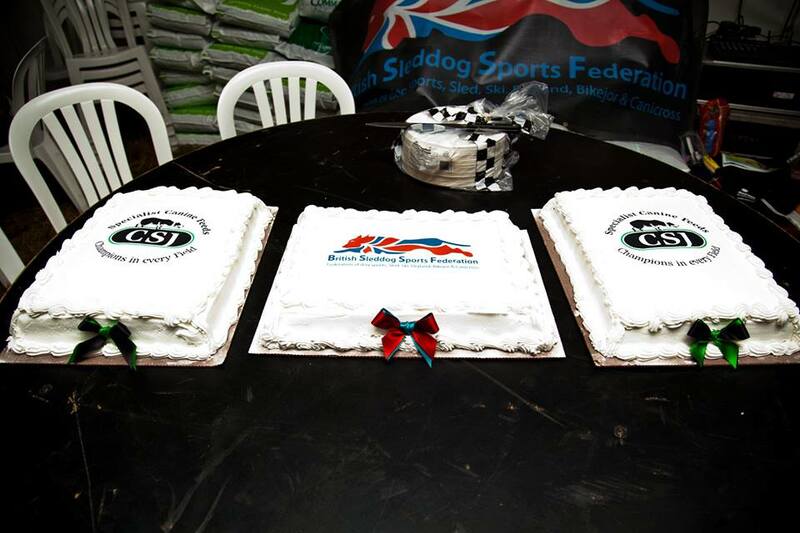 The event was also an International Federation of Sleddog Sports World Cup event, giving participants the opportunity to qualify for selection into the GB team attending the IFSS / WSA European Dryland Championships, to be held in France December 2014. The venue itself was set down a long drive into the forest and is probably one of the best venues I have seen for a dog sport event in all the races I have attended. The camping area was large, dry and sheltered by the trees. When I arrived I was pleasantly surprised by the lack of mud anywhere and how perfect the conditions were for not only the races, but also for hosting over 200 competitors and their dogs for 3 days. I arrived around lunchtime on the Friday so I could get out on the bike and check out the course in plenty of time before registration began at 4pm. It was slightly confusing trying to find the correct course, as all the course markers were up and there were four different routes for the different classes over the weekend but somehow we managed it. I took Tegan out to accompany me, as competing dogs weren’t allowed to see the trails but she was. The course itself was all grass and dirt trail, very soft, with long straights and only a few turns to negotiate. It became obvious very quickly that this was going to be an extremely fast course as there weren’t even any hills to contend with. I also noticed there was no natural water anywhere on the route, which many people don’t consider an issue in racing but I like to allow my dogs to drink and so I made a mental note to take water out with me. In all the course was 4 miles of long, grassy trails and the furthest we have ever competed over, so I was nervous about how Donnie would cope, being the smallest dog competing in our class. Registration was all very straightforward and after getting our number for the weekend, our CSJ goodie bag and getting the bike checked for safety, we were all set up for the first race Saturday morning. Due to the number of competitors taking part, racing was beginning at 8.30 am and continuing throughout the day until after 4 pm to give everybody the 1 minute intervals that was required by the timing system (in the case of the bigger teams it was 2 minute intervals). Saturday morning started early with the sound of the husky teams waking up for breakfast around 5 am and there’s no disguising the husky woos woos when they start! The first competitors out were the big teams around the 4 mile course pulling rigs and then the bikejor class, followed by the smaller rig teams, the scooters, the canicross and finally the juniors around the shorter courses. It felt like a long wait until our start time of 10.42. When it came to our turn, Donnie and I were raring to go, knowing we had to pull out all the stops to keep up with the other dogs in our class. We set off and I just had a feeling we were going to have a good run. Donnie was reading my mind again as to the turns and lines I wanted him to take and he was attacking the long stretches with great enthusiasm, which I wasn’t sure he would do. I was disappointed to be caught about half way around by a fellow competitor but we managed to keep more or less neck and neck with them for the second half of the race, finishing before them with a last push from both Donnie and I to keep our speed up. I did stop to let Donnie have a drink, as this revives him and when we crossed the line, I couldn’t have been happier with our first race of the weekend. We hung around after our race to help others on the start line and watch people finish. One of the IFSS rules stipulates you can’t call in teams on the finish, which makes for a very quiet finish area. I wasn’t sure I liked the lack of cheering but have to say the start and finish felt very calm for the dogs as a result and so perhaps this isn’t such a bad idea for the competitors as a whole. It was quite clear over the weekend how much thought had gone into the organisation of such a big event and although there were some slight issues I was aware of at times, none of it took away from the fact that the event ran extremely well, especially as it was the first event of it’s kind and size in England. Saturday night was a fun, social event with a mushers meal in the evening provided if you wanted it and there was a talk and slideshow, plus cake for everyone. It was a nice opportunity to get lots of people under the roof of the marquee together to go through the days’ racing and share stories. The cakes from Saturday night! We were rudely awakened again by the sing song of the husky teams who were out even earlier on Sunday. All the racing times had been brought forward by an hour to help speed up the racing, as people needed to get home in the afternoon. It was cooler on the Sunday too, which was better for the dogs, as many had found the sunshine of Saturday had warmed the course up a bit too much for some teams. Our start time of 9.24 reflected the times of the day before, as we were seeded in our class as the third out. I was fairly sure we couldn’t top our performance of Saturday and headed out on the course just to do the best we could. Yet again Donnie was absolutely on form and with only a small stop for a drink and toilet break (!) he kept up a very steady pace for the whole 4 miles. I was over the moon when I realised we were catching second place and it took everything I had to keep us both going up the slight incline into the finish. We finished and had our vet and microchip check before being told that we had managed to make up a place and were now in the silver medal position. I couldn’t have been any more proud, as Donnie had worked his hardest for me over the whole course and to keep up with him had been a struggle. I took him back to the van so he could chill out for the rest of the day and I went back down to the start/finish area to help others set off and come in. The NATB Dog Sports members had some blinding times out on the course and in the open 2 dog rig class, Petra Broadbelt managed to make up two places to take the gold with her two Australian Kelpies. Following the Sunday races was the prize giving, where all the competitors gathered in the marquee to say thanks to the organisers and receive their medals and prizes from the race sponsors. There were a lot of people involved in making this event happen and it was a great first national championship for the Wyedean Mushing and BSSF team to have organised. I think this was a big step forward for the UK sled dog sports, as the event was attended by an IFSS representative who oversaw the racing to help ensure the rules were being adhered to and he was extremely impressed by the standard of dry land racing we have in this country. If anyone is reading and thinks this is all beyond them and their ‘pet’ dog, please be assured that the majority of the dogs taking part in this event are ‘pet’ dogs and the competitors are not all people with huge teams of huskies or hounds. The dog sports of canicross, bikejor, scootering and dry land mushing in the UK are growing rapidly and the sled dog event organisers are opening up more and more events to all breeds of dog, this national championship being one of them. I think the BSSF National Championship event at Thetford was a resounding success and I look forward to attending an even bigger weekend of racing next year! 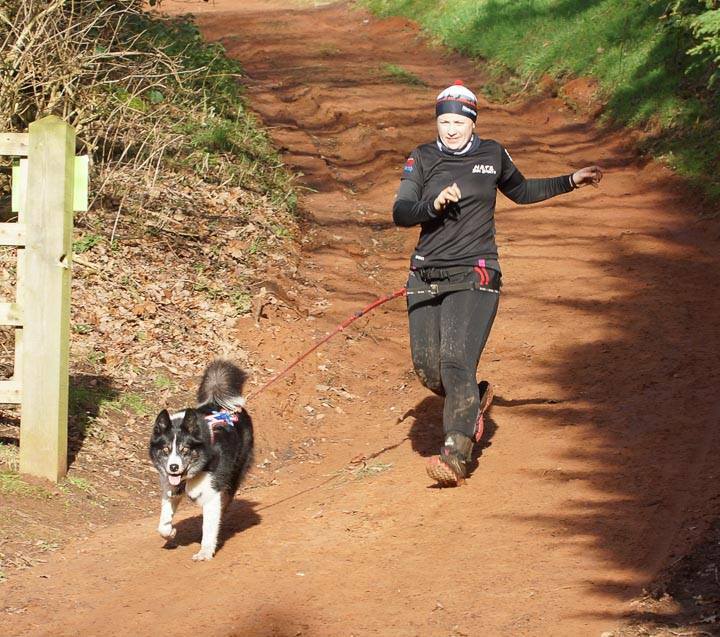 This blog is a short interview with our current Senior Female European Canicross Champion, Sarah Pepper. We decided to pick her brains to see if we could find out a bit more about what it takes to become a champion and to see if we could get any tips from her. 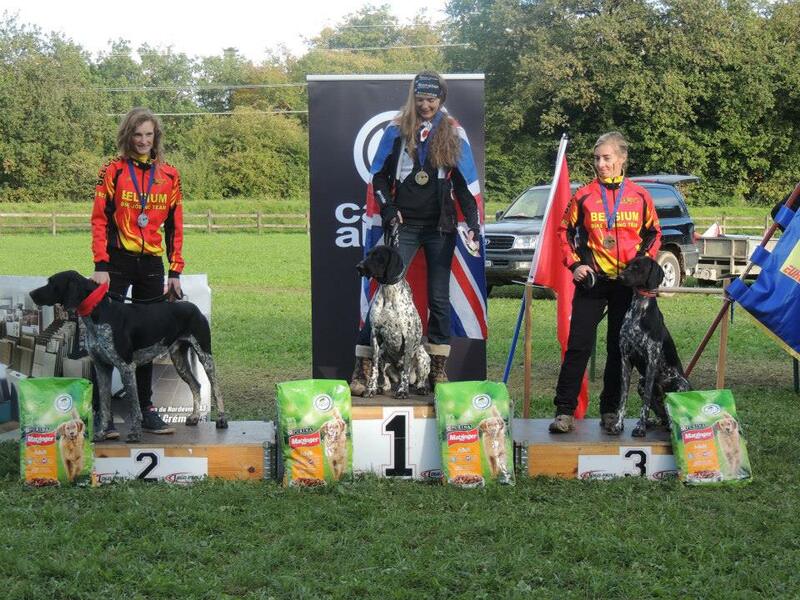 What are your dog sporting achievements to date? Senior Female Canicross UK Champion 2013, European Female Canicross Champion 2013 Porrentruy Switzerland, 1st female at the Karnten Lauft event in Austria. I haven’t been running that long about 2 years now, so to achieve these results is amazing. I have three dogs, Simbah aged 5 Rhodesian Ridgeback, Rolo aged 2 German Shorthaired Pointer and Diesel aged 9 months German Shorthaired Pointer. Rolo is my running dog, he got me into running as I didn’t run before I had him. He is a mental GSP and absolutely loves racing, which he shows by screeching his head off on the start line. Rolo is a nightmare if he hasn’t had his run and won’t leave you alone until he has been. He is very strong and it has taken me nearly a year to learn how to cope with him (29kg!) pulling on the downhills. Your favourite place to train or compete? I love competing abroad as the terrain and courses are different from the UK (less rain & mud!). The UK races are very friendly and social we eat cake and have a great laugh. I have made some great friends from these events who live hundreds of miles away but tend to see them every month at the races. We have travelled to Austria, France and Switzerland this season competing. Austria was the craziest event I have ever done as it was part of a big marathon event, so all 200 canicrossers started altogether in the start shoot with a motorbike filming us in front. I am lucky that I live in Cornwall so I have lots of places I can train. 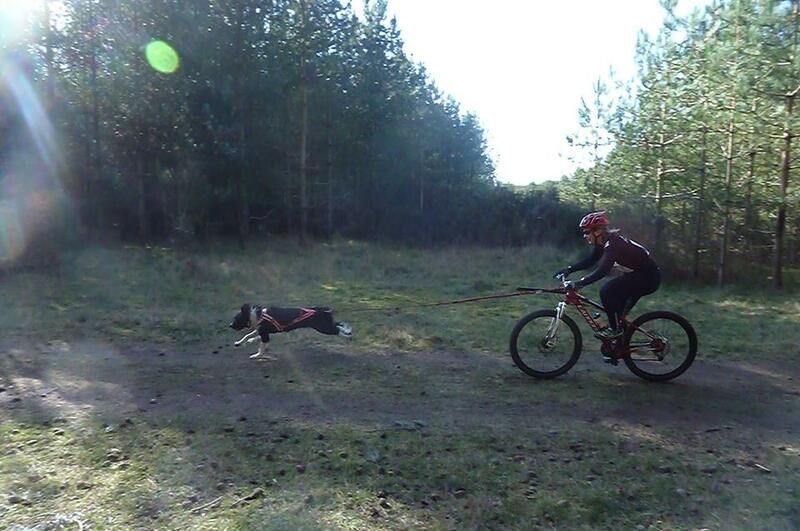 We normally vary our training between the woods and the dunes at the beach. We have just come back from the French Alps and have been training the dogs in the snow which is amazing and helps my fitness with this seasons races. Your favourite bit of kit and why? Non-stop Dogwear as I am sponsored by them. It is the best equipment as it is designed by the people who are the best in the sport. I use the Freemotion harness on all our dogs, this harness is designed to allow the dog to breath as the elastic straps move when the dog is breathing heavy. This is also good as running with the dog has a high pulling point, so this harness sits flat instead of pulling the dog up and restricting his breathing. I wear the Non-stop running belt which sits low so doesn’t put pressure on your lower back. It is great for down hills when you have a strong pulling dog like Rolo, as you can go with the force instead of fighting it. It is light and comfortable. The running line is also light and has elastic weaved into it and doesn’t burn your hands. Any training or other tips for people starting out in the sports? 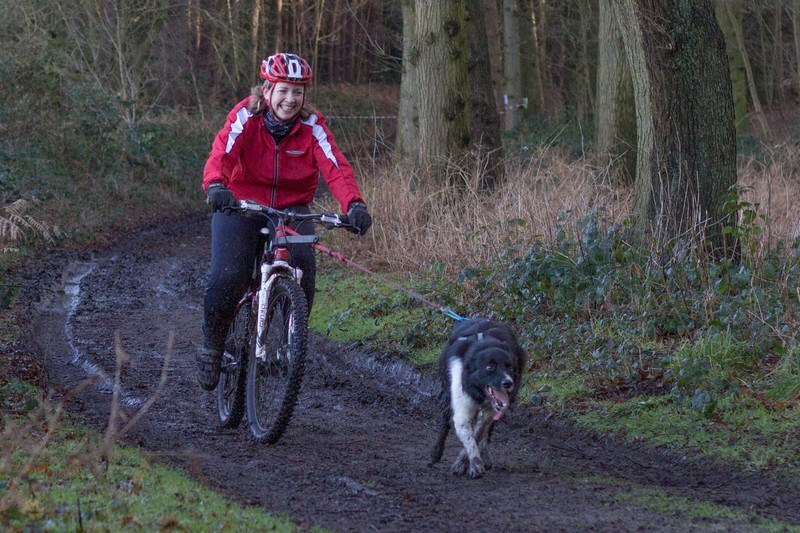 For people who are starting out I would suggest that they join a local canicross club on their training runs as this will help the dog interact with other dogs who do the sport. This encourages the dog to pull especially if they see others doing it. Races are very beginner friendly and most have have-a-go classes. There are lots of people with experience and will give you help and advice. For training the biggest advice I can give someone is, that if you train you dog to run in a harness, every time you put the harness on make sure you are doing fast runs. Don’t use the harness for walking as this gives the dog mixed signals. We train our dogs off lead so we do lots of free running with them, this helps them gain speed naturally and then 2-3 times a week we will do some harness runs which are hard fast pace. This then helps gain strength and also is a great way to train yourself. As you can see Sarah has some great advice but I don’t think we can all be as naturally talented as her when it comes to running! If you’d like to meet Sarah in person and ask any other questions you might have with regards to the dog sports, Sarah will be on our Crufts stand 174 in Hall 4 Friday 7th to Sunday 9th March as part of K9 Trail Times’ mission to raise awareness of the dog sports and that ‘Active dogs are happy dogs’! We didn’t make the first weekend of the 3 racing events at Checkendon due to illness and injury and with horrific weather forecast for the weekend of the 15th & 16th February, I wasn’t sure we were going to make the second! The drive to Checkendon (between Oxford and Reading) on the Friday afternoon was not a pleasant one, with howling winds and lashing rain for the entire 60 odd miles we had to travel to the venue. The race organisers had arranged for hard standing parking for competitors and the use of the village hall for those who wanted somewhere dry to take refuge. The only drawback to this was the half a mile walk to the start line from the main village where we were parked. I found it hard on the Saturday to get my scooter and the two dogs to the start line, then swap them over and get Tegan for the run in time to make my slots. The arrangement allowed the event to take place, both this time and the time before, and so was an ideal solution, rather than cancelling the event, however I for one will be glad when it dries up enough to get us back camped in the field. The Saturday morning was actually not too bad in terms of weather and although the course was muddy and slippery in places, with lots of little branches blown down over night, the trails on the whole were far better than some of the others we have raced on this season. 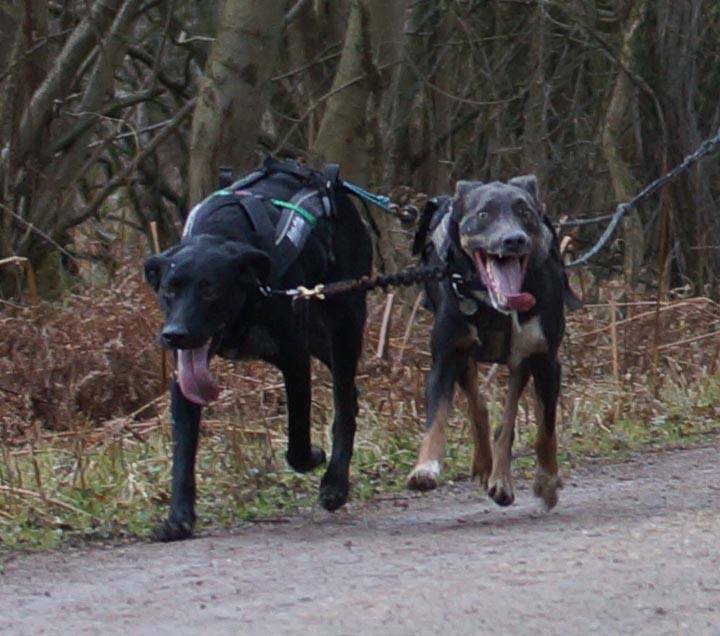 The course was run in the opposite direction to how we ran it the first time and I think this worked very well, the dogs certainly seemed to enjoy the change and my two boys were firing on all cylinders. We finished 3rd in the combined bikejor and scooter class behind two bikejorers which I was very pleased with. Sunday proved to be a great day weather wise, with bright sunshine from the outset and although it was cold, the conditions were great for the dogs, especially my lot who created a near riot with their excitement about being able to race again! Tegan switched classes and had a go at bikejor on her own with Marc, as she’d been so keen the previous weekend. I think she needs another dog to spur her own though, as she enjoyed it but went back to her usual pottering around the course. The trails were a little bit more slippy on the Sunday and I managed to come off on my face at one point, but there was no stopping us and we took third again in the combined bikejor and scooter class. I really enjoyed the challenge of the Checkendon trails, because they are so different to every other course we have competed on and require such concentration to negotiate without mistake. In addition I thought the village hall provided a great central point for not only the prize giving which took place both days, but also the trade stands (of which we were one) and allowed people plenty of opportunity to browse canicross kit and running gear provided by K9 Trail Time, Non-stop Dogwear UK and Runners Retreat who all sponsored prizes for the event. We are looking forward to the last of the 3 events in the Checkendon Challenge series and what the weekend will bring. The Pace Setter was a one day canicross, bikejor and scooter race held on the 9th February at Fineshade Wood near Corby. 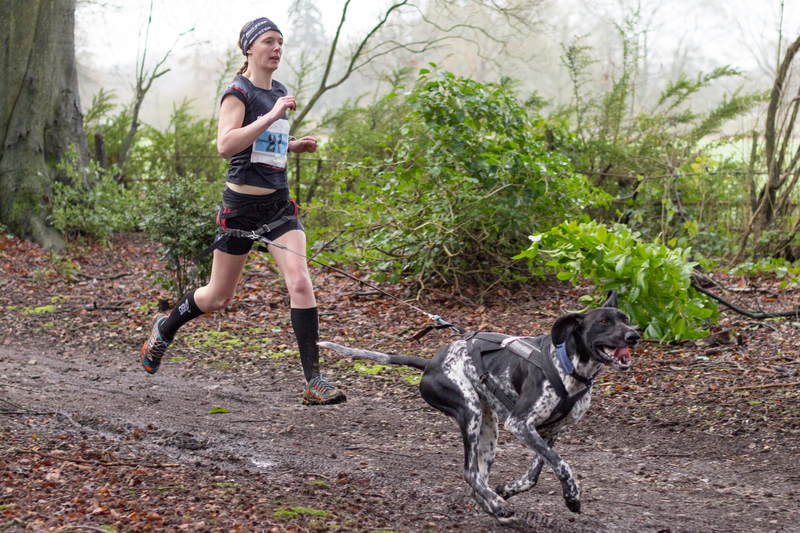 The venue itself was one we were familiar with from a canicross race we attended with CaniX a few years before, so we were vaguely aware of what to expect from the course before we arrived. We made the trip up to the area the day before as it was a 200 mile round trip, which is quite a lot of travelling to expect the dogs to do in one day, in addition to the racing. 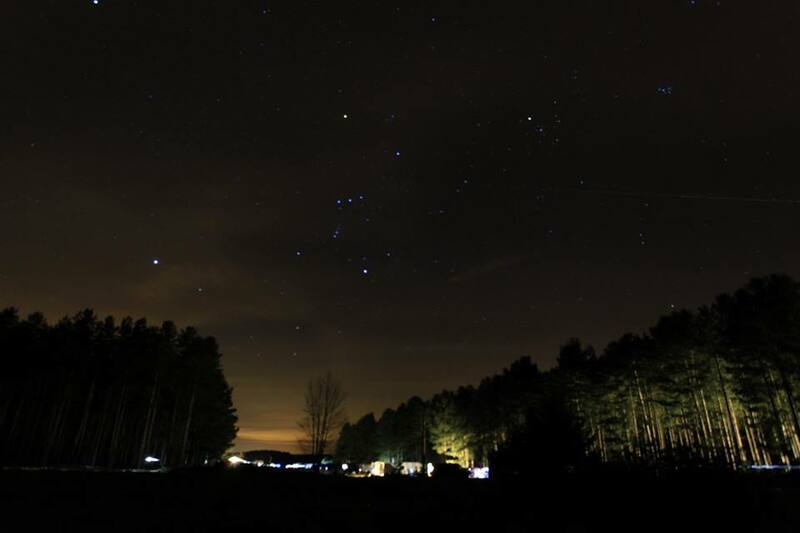 The name of the actual site is Top Lodge because it is at the top of a hill and it is a Forestry Commission run site so there are toilet facilities, tarmac parking, a cafe and even a few shops to keep visitors entertained. During the spring and summer months there is also a caravan park open but it was closed this early in the season. 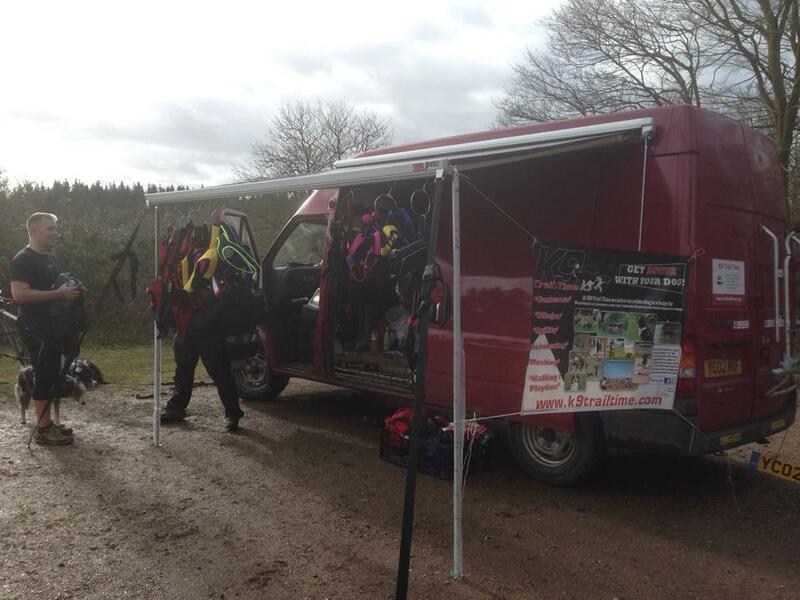 We got set up early to allow competitors to browse the available kit before racing began at 9.30am. The organisers had a map of the route set up on a board for everyone to view before the race briefing and so we didn’t worry about checking the course out before the race as it seemed fairly straight forward. A last minute decision to change my entry from one dog bikejor to two dog bikejor meant all our dogs would get a run. 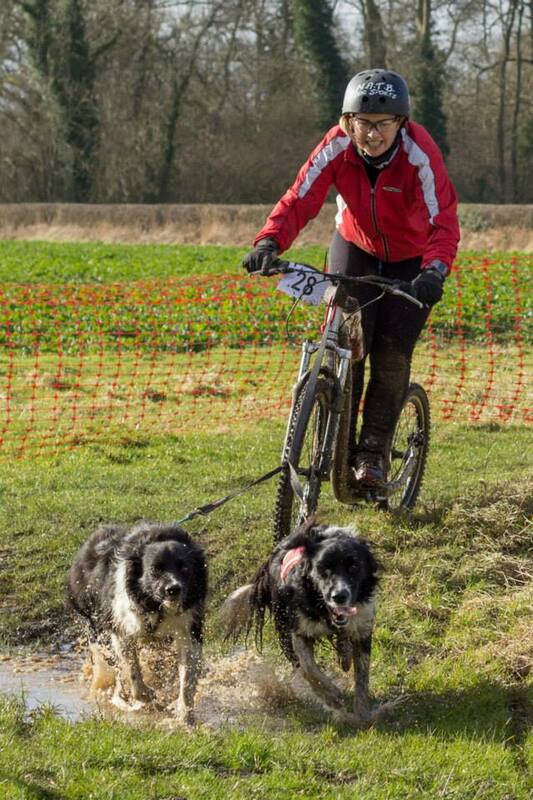 Although I’ve trained at home with two dogs attached to the bike, there are very few races which will allow two dog bikejor, so this was a first for us! The start tunnel was followed by a right and then a left hand turn out of the car park area and downhill on a hard packed trail into the woods. With both dogs attached I literally did not have to pedal, merely hold on for dear life, for the first couple of kms until we reached a steep incline where I didn’t even have to work very hard to get up the hill. My original Team Thomas were flying for the best part of the whole course and only began to slow the pace down after about 3.5 km. I know these distance markers because they were helpfully displayed on the route, it’s surprising how useful this is to pace yourself when you know how far you’ve come and how far is left to go. 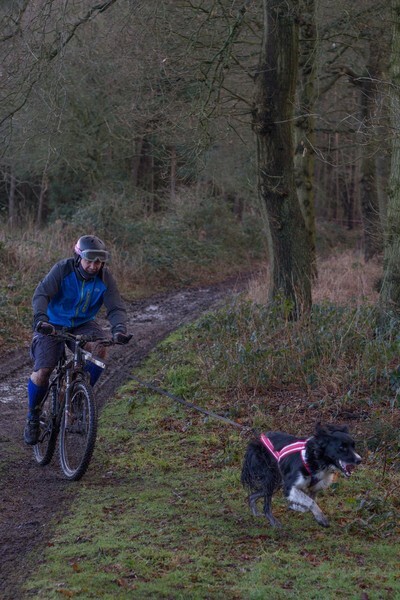 The hard packed trails were available to the public too whilst we were racing and there were a few loose dogs, which is never helpful when taking part in a wheeled dog sport event but there are so few events run where the land is private, that this is something we are used to now. We completed the race with a respectable time for our efforts and took first place. 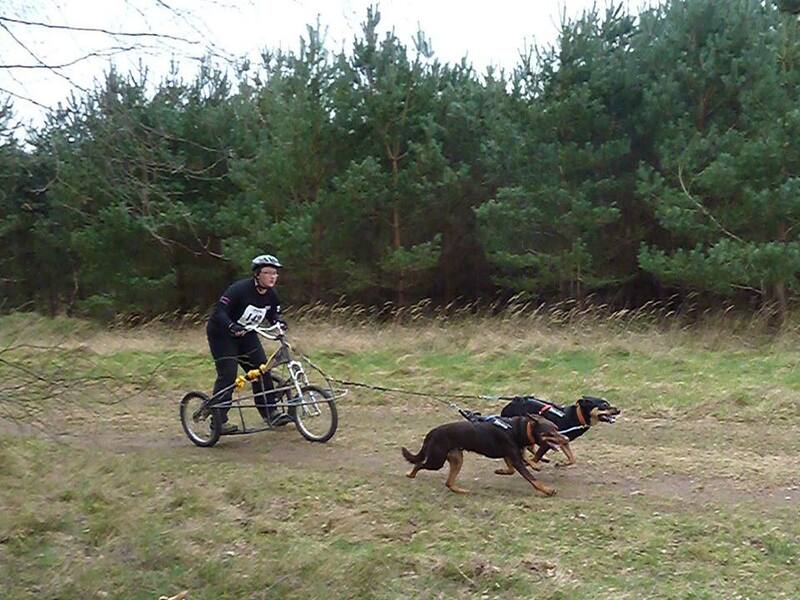 Marc and Donnie also competed but in the one dog bikejor and took 5th in the class as it was a little more competitive. 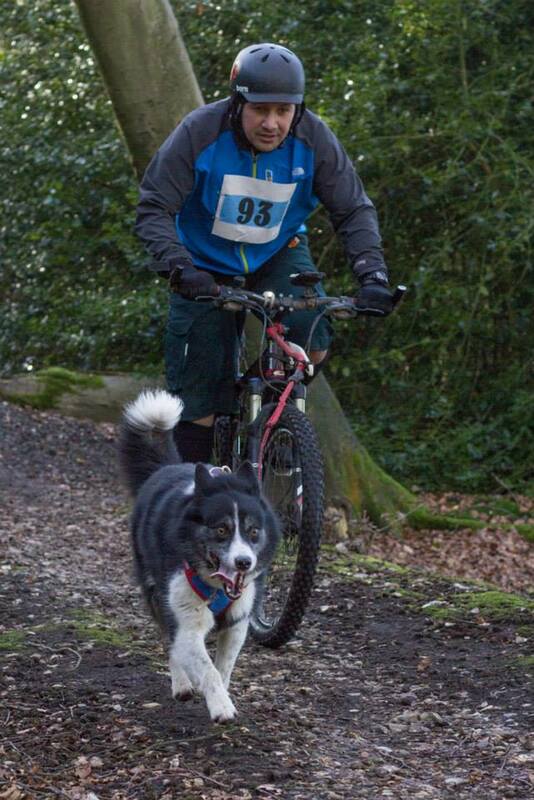 The event was well organised with a marshal at the half way point and water stations for the dogs to take advantage of. The timing was done electronically and all seemed to be accurate, results were published quickly on the website, plus we all received a completion rosette on crossing the finish line. However it wasn’t mentioned there wouldn’t be a prize giving and I think some competitors were confused by the term ‘race’ and then there being no placings given out on the day. I would describe an event without a prize giving as more of a ‘fun run’ and I think it would have been useful to have known this from the outset. That said we thoroughly enjoyed the Pace Setter event and I loved the venue, I would have liked more time to walk the woods after racing but we had to head back home. It is also worth mentioning that the course we ran was also quite hard on the dogs’ pads and I would have booted the boys up if I’d checked the trail before we raced. Judo had a small shred on one of his pads from working hard on the bike and I know a few others experienced problems as the dogs racing with the wheels work that bit harder and run that much quicker on the bike or scooter. I use the Pawz dog boots wherever I feel the trail is tough on pads and I sell them here: (http://www.k9trailtime.com/shop/pawz-dog-boots.html) they just protect paws from the type of damage Judo picked up and are great in any dog first aid kit. 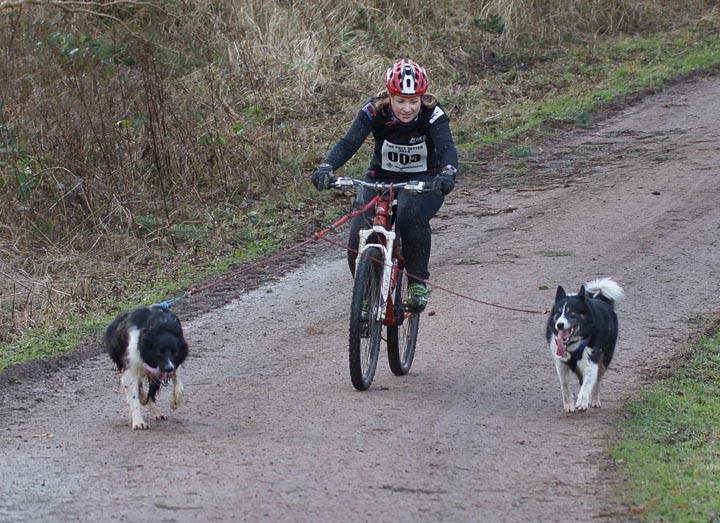 The inaugural Canicross Midlands races were held on the Bissell Wood Equestrian Centre site near Kidderminster, over the weekend of the 1st and 2nd February. The venue was easily accessible from the M5 and being situated in the Midlands, this almost guaranteed a good turn out. As it turned out this was one of the biggest events we have attended all season, in spite of the gale force winds and rain predicted. We arrived late on Friday afternoon to set up in the awful weather and settle down for the night in the camping field which unfortunately, but perhaps predictably, had flooded, following a week of constant downpours. We knew the course was going to be muddy and so didn’t worry too much about not checking it out, as the mud always slows the racing down a bit (for us anyway!). Team Thomas were bikejoring and canicrossing at this event so I was going to see the trail four times in total. Saturday morning, after an early start, we got a chance to see for ourselves the course and to ride the hills we had been warned about the night before. The course started alongside the stable block on the flat and then turned sharp left along a very muddy straight, before another left turn and a road crossing. The crossing was very well marshalled and we zipped across into the woods for more muddy tracks, winding through the trees until the start of the hilly section in the middle. After a gruelling uphill slog there was a very sharp right hand turn, taking you immediately back down the hill with a sweeping left at the bottom. The trail then wound it’s way back uphill for a slightly longer stretch but with less mud, so easier to negotiate. The course then descended down the side of the hill in stages, the last being a sandy slope which led onto a hard packed straight into the finish chute. There was another road crossing just before the end, again well marshalled and all cars were stopped for competitors. We all managed respectable times on both the Saturday and Sunday, Marc and Donnie on the bike, myself and Judo also on the bike and myself with Tegan in the canicross class. Whilst we were not especially quick on any day over the course, we did manage to make up some time on the second day on the bikes. Marc and Donnie placed 5th in the Men’s Bikejor category, Judo and I managed 6th in the Female Bikejor and Tegan helped pull me (sort of) to 6th in the Female Canicross and all this in spite of illness and injury in the weeks prior to the races. 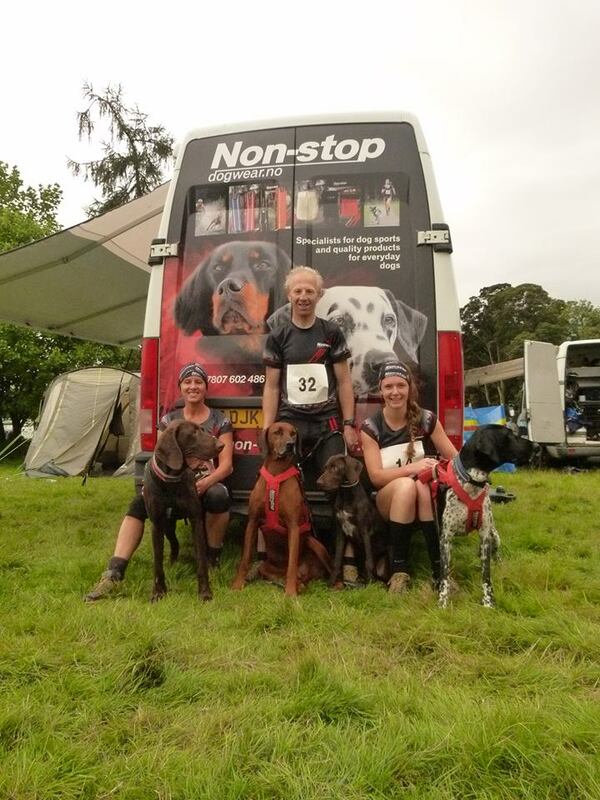 We had a fantastic weekend of racing and have nothing but praise for the team from Canicross Midlands (http://www.canicrossmidlands.co.uk) who kept us safe on the course with a special mention for Claire Martin who single handedly towed everyone on and off the camping field. 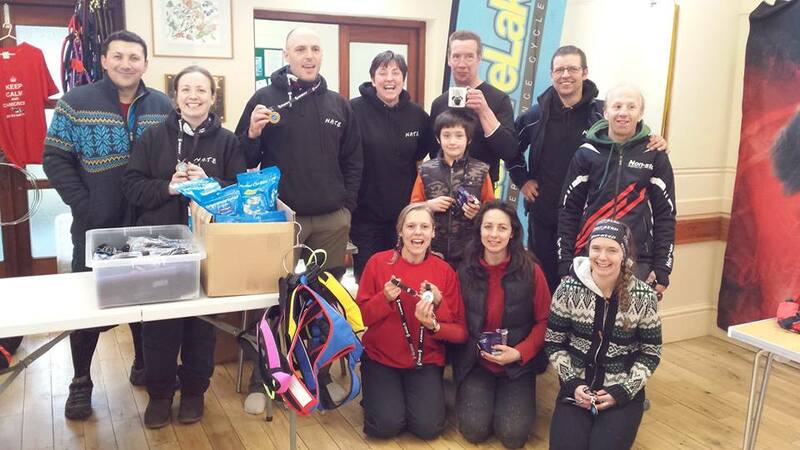 The NATB Dog Sports team brought home another prize haul and we all received finishers medals for completing the races. 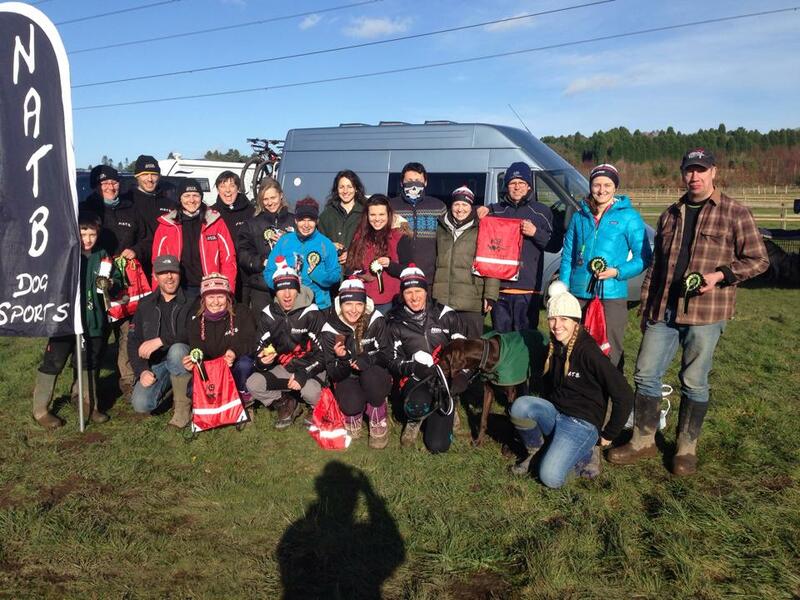 In conclusion with the terrible weather conditions and muddy trails, the Tail Blazer event could have been a wash out, but instead with the help of all the dedicated volunteers, the races were a huge success and I am looking forward to seeing the next Canicross Midlands race appear on the calendar.